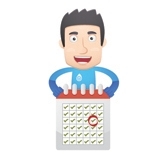 It is important to ensure your boiler is regularly serviced and has the relevant certificate of compliance. 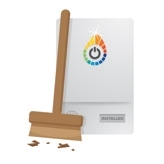 We offer a variety of boiler services and checks to ensure your boiler is safe and compliant. Completion of Gas Safety Certificate (CP12) sent the next day after successful completion of our inspection. If you're concerned about your boiler, get it checked by the experts and call South Heat & Electrical on 01202 900 300 today for a FREE no obligation Boiler Service quote. 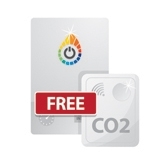 We give a FREE Carbon monoxide alarm with each and every Boiler Service to ensure you and your family's safety. 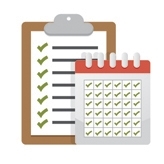 We'll respond to your needs quickly, not just booking in your job quickly but arriving promptly at each and every appointment! 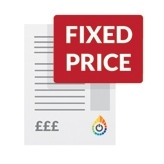 Our fixed price guarantee means that you'll receive an official quotation for every job you ask us to undertake so there's never any unexpected bills due to your boiler service! Our Bournemouth Boiler Service is as easy as 1-2-3-4. You'll always receive an easy-to-understand no-nonsense quotation before work begins. We're transparent with our charges and only begin work when you understand and agree to our fees. One of our polite engineers will visit your home at a date and time that works for you and arrive in uniformed in a vehicle clearly branded as South Heat & Electrical. We'll arrive on time and finish the service - same day. Our engineers ensure they tidy up after themselves before they leave you home. Remember ALL our workmanship is covered by a 12 month Guarantee, so if you have any further issues rest assured we're here to help. *Offer only available to quotes issued by 30th June 2018 7 & 10 Year Guarantee includes Parts & Labour and is only valid where South Heat & Electrical annually service the boiler and the boiler has been installed by South Heat & Electrical. 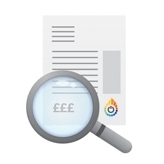 Annual service costs are £50+VAT. All offers are only available for domestic properties. 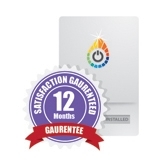 Cannot be used in conjunction with any other South Heat & Electrical offer. Terms & Conditions subject to change, please find the latest information online at www.southheat.co.uk/terms.